our advantages: 1\ Our company specializes in fabric storage, organizes your miscellaneous goods, organizes your home, and makes your home neat and orderly. 3\ we get our own production development department and set new standards ofexcellence for product development and design . 3. Payment most be made within 3 days of order 4.About us We are an integrated company with its own entity factories. We need an authorization letter from you to allow us to print your logo on it. Q3: Can i visit your factory before order9 A: Sure, welcome to visit our factory. Products will need reworking in workshop if inspection fails. Organize your jewelry collection and keep it in amazing condition. 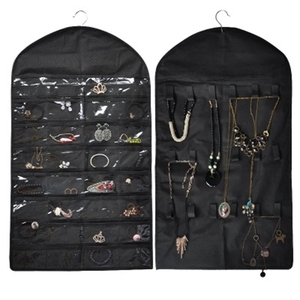 It has two sided to storage jewelry, two sided organiser hangs on a hanging hook. The pocket is the same on both sides and each side has 36 pockets. Ningbo Beland Commodity Co., Ltd. If you are our old customer, you will get our new designs at first time , your individual request will be considered. 4 Shipping cost depends on the shipping method, product quantity, weight, carton size and your area. 4:Service / Support a: QC / Technical Support We apply strict quality control procedures to ensure refined products. Clear pockets make it easy to see your jewellery, cosmetics, hair and fashion accessories. 4. The images shown are not the actual item and are for your reference only. 1. You have 7 days to contact us and 30 days to return it from the date it was received. 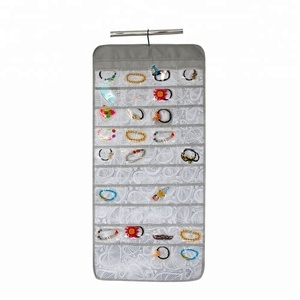 Alibaba.com offers 897 jewelry hanging storage bag products. About 46% of these are storage bags, 1% are travel bags. A wide variety of jewelry hanging storage bag options are available to you, such as sundries, bedding, and clothing. You can also choose from free samples, paid samples. 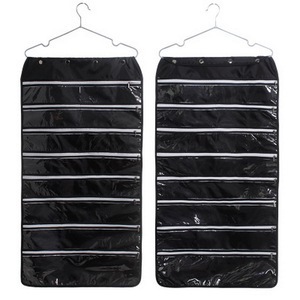 There are 822 jewelry hanging storage bag suppliers, mainly located in Asia. The top supplying countries are China (Mainland), Vietnam, and Hong Kong, which supply 98%, 1%, and 1% of jewelry hanging storage bag respectively. 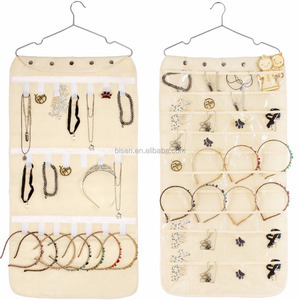 Jewelry hanging storage bag products are most popular in North America, Western Europe, and Domestic Market. You can ensure product safety by selecting from certified suppliers, including 107 with BSCI, 77 with ISO9001, and 21 with Other certification.